If you follow me on my instagram @grcelisabeth you will know I am obsessed by braids. So every now and again i love to try out new styles and see how they turn out. I've seen lots of messy braids like this, but they seem really complicated to do, so using inspiration from all of them I worked out a way to simplify it to give it that messy thrown together look. All you will need are some clear hair elastics and this works on pretty much every hair length. Less loops for less hair! 1. Start by tying your hair into a low pony-tail, using a clear hair elastic. 2. 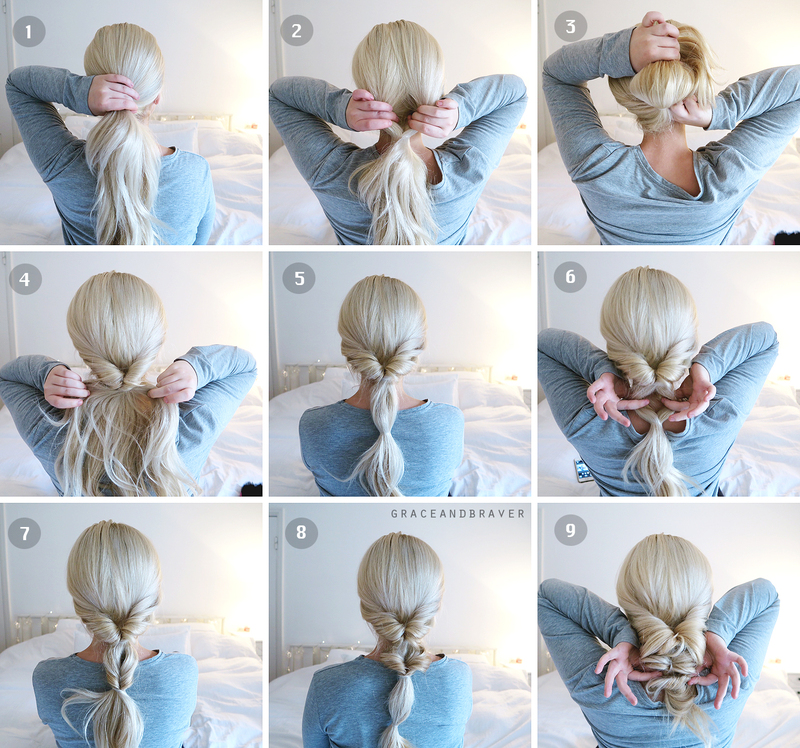 Create a little loop above the pony tail and pop your hand through the bottom of it. 3. Now grab your hair and pull it through the loop - going from the outside in. 4. Your hair should now look like this. Pull your hair horizontally to tighten the loop. 5. Tie a new hair elastic half way down your hair, creating a new loop. 6. Doing the same as you did in step 2 and three, pull your hair through the gap and pull down. 7. Your hair should now look similar to this. 8. Depending on your hair length, you can stop there or you can add another & repeat the same steps. 9. Once you've created as many pull through braids as you wish, you now need to pull the loops completely apart. Holding the pony tail with one hand, pull the loops outward, until you get your desired look. What camera do you use? These hair gifs are really cool! 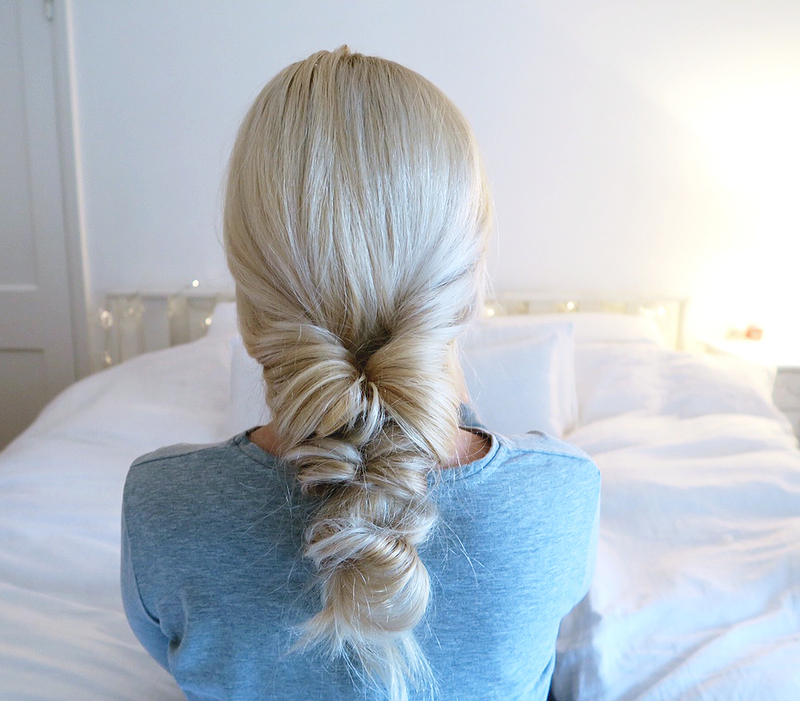 Love this braid! I wish my hair was longer so I could do this properly! what beautiful I love it! This is such a cute style, I want to hire you to do it on my hair every morning. To say beautiful is to say nothing! Braided hairstyles have always been my passion. I am now eager to have a go at this myself. Many thanks for your simple instructions on how to form a desirable hairstyle that many others won't have.